It only took a few days away from each other for the fortunes of the Chicago Cubs and the Los Angeles Dodgers to change. Five days after the Cubs claimed a series victory over the Dodgers in Chicago, the teams will get together four more times in Los Angeles starting Monday night. It is a cluster of games that has brought a playoff feel for the clubs that squared off in last fall's National League Championship Series. Since they last met a few days ago, the Cubs went to Cincinnati and were swept in a four-game series against the last-place Reds. The Dodgers departed Chicago for New York, where they swept the Mets in a three-game series and also welcomed staff ace Clayton Kershaw off the disabled list. While Kershaw is scheduled to close out the series on Thursday afternoon, the Dodgers will open against the Cubs with Kenta Maeda (4-4, 3.84 ERA) on the mound. The right-hander lasted just 3 2/3 innings against the Cubs on Tuesday, giving up three runs and five hits in the Dodgers' only win during the three-game series. It was his first career start against the Cubs in the regular season. The Cubs will counter with left-hander Jon Lester (9-2, 2.10), who has won five consecutive starts, beating the Dodgers on Wednesday when he gave up five hits in seven scoreless innings. Lester is 3-3 with a 3.33 ERA in eight career regular-season starts against the Dodgers. There is no doubting Lester's roll. He has gone six innings in seven consecutive starts and is 8-2 with a 1.67 ERA in his last 12 outings. The bigger question surrounds what type of run support Lester will receive. 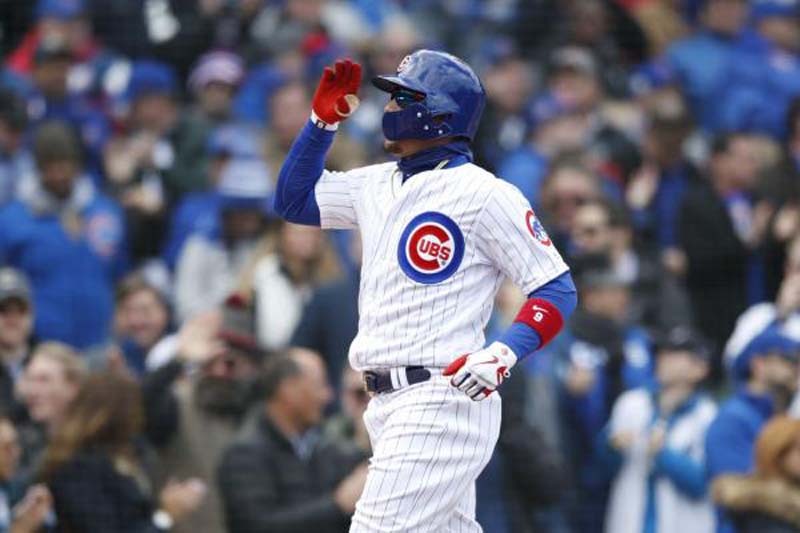 The Cubs have been sporadic on offense, and even while winning two of three over the Dodgers, they scored just nine runs in the series and five total in a doubleheader split Tuesday. How do the Cubs turn on the offense as their eight-game road trip now heads west? "I wish I knew the answer to that," Cubs first baseman Anthony Rizzo said, according to the Chicago Tribune. "The work is good, the preparation is good. It's just how this game goes sometimes. Hopefully, we lock in as a unit and stay locked in for a long time." The Dodgers managed to score just five runs in their swing through Chicago but went to New York and dropped 21 runs on the Mets in three days. Aside from their Wrigley Field visit, the Dodgers have been putting runs on the board with ease. They head into Monday's series opener with 46 home runs in June, including seven on Sunday alone. "I think that if you look back at our wins, there is a parallel with us hitting a homer and wining a baseball game," Dodgers manager Dave Roberts said after Sunday's game. "I just think as we are going well, we're not trying to hit homers. I think we're just trying to put good swings on the ball. When you do that with our guys, with the path of the bat, it's elevated and that's just the way our guys swing the bat. Those are good things." The Dodgers set a National League record Sunday for most solo home runs in a game and the seven blasts were tied for second most in a game in franchise history. While the Cubs might be searching for offensive consistency as a whole, Albert Almora has no such concerns. He had three more hits Sunday, his ninth game with three or more hits, and is 14-for-40 (.350) in his last 13 games, with multiple hits in six of those.